In terms of insured U.S. coastal properties vulnerable to hurricanes, New York ranks number one with $2.92 trillion, followed by Florida ($2.86 trillion), Texas ($1.17 trillion), Massachusetts ($849 billion), and New Jersey ($713 billion). The cumulative cost of the 16 separate billion-dollar weather events in the U.S. in 2017 was $306.2 billion, breaking the previous cost record of $214.8 billion (2005). Hurricanes Maria and Irma had total costs of $90 billion and $50 billion, respectively. 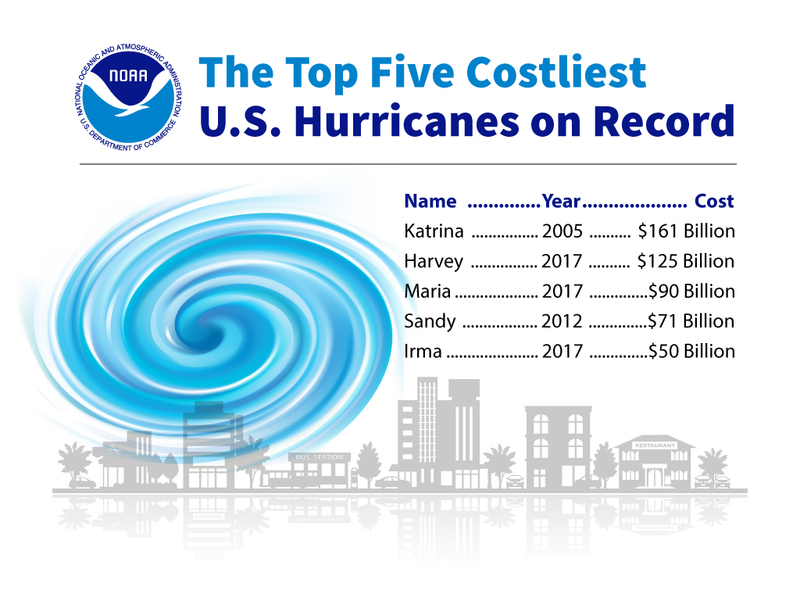 Hurricane Maria now ranks as the third costliest weather disaster on record for the nation, and Irma ranks as the fifth costliest. 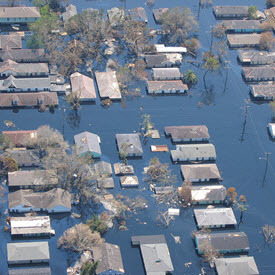 In flood insurance payouts, Katrina (2005) led the way with 167,985. This amounted to $16 billion. The average paid loss was $97,140. Over a dozen states were impacted by Hurricane Sandy in October 2012. Sandy caused $18.75 billion in insured property losses, excluding flood insurance claims. 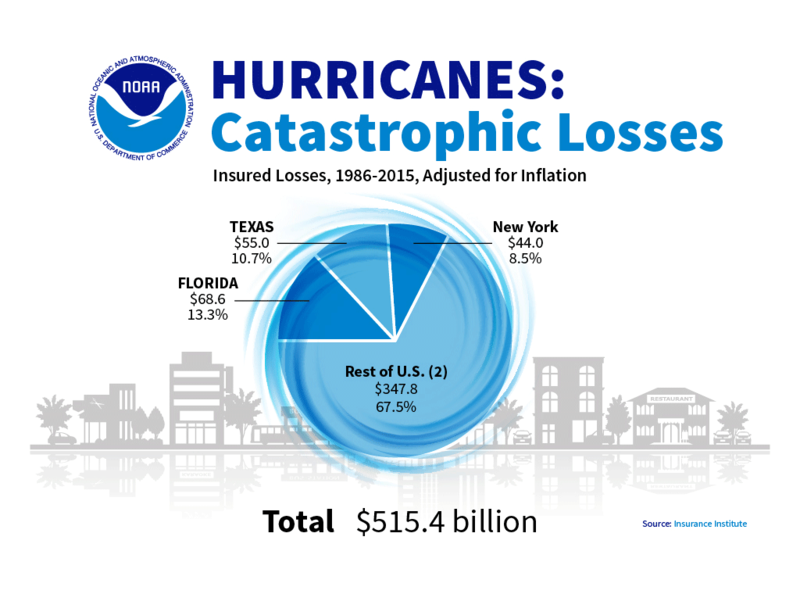 Estimates of insured losses for Hurricane Matthew (2016) range from $1.5 billion to $7 billion in the U.S.